Can’t say I saw this coming. Shout out to Dion for all the absolute nonsense he put up with in his time in Toronto, for being Captain of the only Leafs team of my adult life to make the playoffs, for not being as garbage as people claim he is, and for elevating his game enough under Mike Babcock to be a wanted asset by another NHL team that was willing to give a good haul of assets to Toronto in return for him. One of the few remaining remnants of the John Ferguson Jr era, Frattin was a 4th round draft pick back in 2007, was a Hobey Baker finalist and scouts once thought that he could be a “Diet Rick Nash” type of winger on a second line featuring Nazem Kadri. A personal Marlies favourite of mine, I’ll be sad to see him go. That being said, he’s a 28 year old declining AHLer whose shot at becoming a legitimate full time NHLer is now years in the past. His best year came in 2011/2012 when he had 15 points in 56 games. Expiring contract. I expect him to either be an AHL leader next year, or playing in Europe. An undrafted winger, Bailey signed a two year entry level contract with Toronto in March of last year after being a point per game player during his years at Penn State. Has a good shot, ideal size and a high compete level, but the jury is out on whether or not he can ever progress past middling-AHL player status. He scored a goal for the Leafs in 6 games at the end of last season during a short audition, but failed to make the big club out of this season’s training camp and has underwhelmed for the William Nylander powered Marlies this year. At 24 years old with just 18 points in 38 AHL games this year, I see this undrafted, ex-U.S. College player being more of a Brayden Irwin than a Tyler Bozak. With an expiring contract and an NHL cap hit of $912,500, I don’t expect him to see much time, if any, with the big club in Ottawa. Decent minor league option that is a restricted free agent at the end of this season. 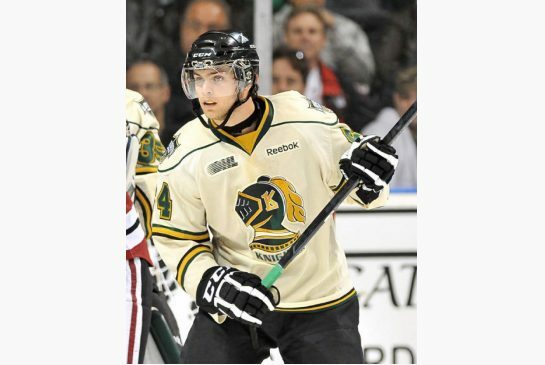 The ex-6th round draft pick in 2012 has bounced between the AHL Marlies and the ECHL Orlando Solar Bears the past two seasons, after being a mainstay with his hometown London Knights for the entirety of his junior career, often playing with his twin brother Matt, who has also attended Leafs prospect camps. The 21 year old centre is a strong, rough and tumble player with decent puck skills, limited skating ability and a bad habit of delivering the odd dirty play. Unfortunately for him, his playing style seems to be more suited for 1996 than 2016. The prototypical slow power forward with a decent shot and a penchant for the net is a declining breed and Rupert seems to be a victim of circumstance. He was not high up in Toronto’s depth chart, was likely not going to make the Leafs full-time at any point, but remains a viable minor league option for Ottawa. He’s signed for next year too, so expect to see him as a regular on the Binghamton Senators. This undrafted, 19 year old defenceman is currently in the QMJHL with the Moncton Wildcats and is considered to be a late blooming potential gem. 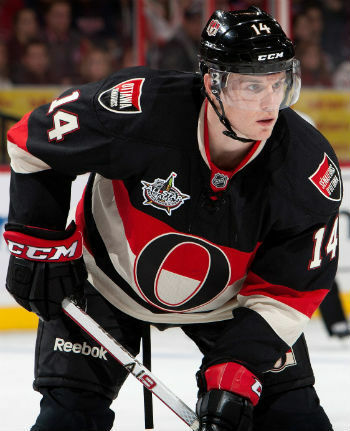 He was undrafted, despite being the 150th ranked player of his year, but impressed the Toronto brass with a good showing at the Under 17’s and with the Rouyn-Noranda Huskies and Quebec Remparts in 2013-2014. The Leafs invited him to prospect camp as a free agent and he turned enough heads to parlay that into a three-year entry level deal. A right-handed shot with a high fitness level, Donaghey has the potential to be a very strong offensive defenseman, but like many defenders his age, his actual defensive game needs considerable work. He also recently fought through both an MCL and ACL tear, which has considerably hampered his development. Nonetheless, it would not surprise me at all to see him in the NHL at some point in the coming years. He’s signed until the end of 2017-2018, and I expect Ottawa to audition him on their blueline once he completes his junior career and spends some time in the AHL. It doesn’t seem like six years ago, but that’s how much time has gone by since Toronto acquired Phaneuf, Fredrik Sjostrom and Keith Aulie from Calgary in exchange for Matt Stajan, Niklas Hagman, Ian White and Jamal Mayers. It’s easy to look back in retrospect, and there’s no denying that Phaneuf did not turn out to be the player that Toronto envisioned, ending up as more of a Bryan McCabe than a Chris Pronger, but I firmly believe that Dion Phaneuf was a solid Maple Leaf, despite the popular opinion that says otherwise. He was a victim of circumstance, a player with a contract and letter on his jersey that said to fans that he would become the next Chris Pronger, when in reality, that is just not who Dion Phaneuf is. He is not a number one defenceman. Or even a number two at this stage of his career. He should not have been playing 30-odd minutes a game, like he was under the old Toronto regime. He was heavily misused and it showed in his play and the stats. That being said, he improved by leaps and bounds this year playing a reduced role under Mike Babcock, and appears to have found his game again. 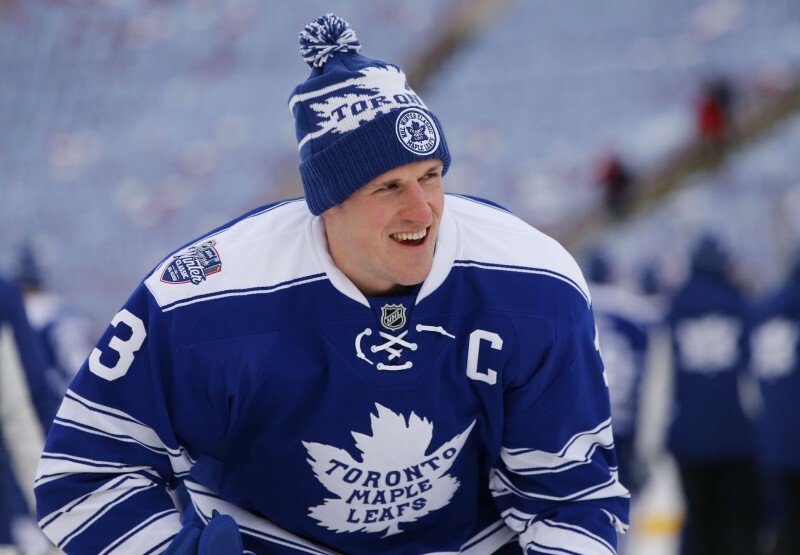 Phaneuf will never be the player that we thought he would be coming out of junior. However, he remains an incredibly serviceable second pairing defenceman that can be a physical game changer, a boon on the power play with his massive shot, and a good locker room presence that has dealt with adversity fairly well. He’s signed for five more years with a $7 million cap hit, which is already a steep price to pay for a player of his caliber, but could be disastrous a few years down the road if injuries or a steady decline takes place. I believe that he could be a great supporting piece for Ottawa, a player that can take a bit of the load off of younger guys like Cody Ceci, but I don’t envy that cap situation. The 25 year old defenceman has severely underwhelmed at the NHL level since being drafted 9th overall in 2009, and looking back, it’s clear that rushing him to the NHL was not the right move. A massive (6”5, 240 pounds) stay at home defender, Cowen was perfect for the old, slower, crash and bang NHL of days past. It was envisioned that he would be a stabilizing presence on the blueline that would neutralize attackers with his physicality and sheer size. Instead, the game changed and a player with Cowen’s footspeed does not look like he can last in today’s league. He fell out of Ottawa’s top six and has been all over the rumour mill for the last couple of seasons. He’s signed for $4.5 million next year, but with a cap hit of $3.1 million, and would be a restricted free agent after that. If his play doesn’t drastically improve, he would be a prime candidate for a buyout next off season. 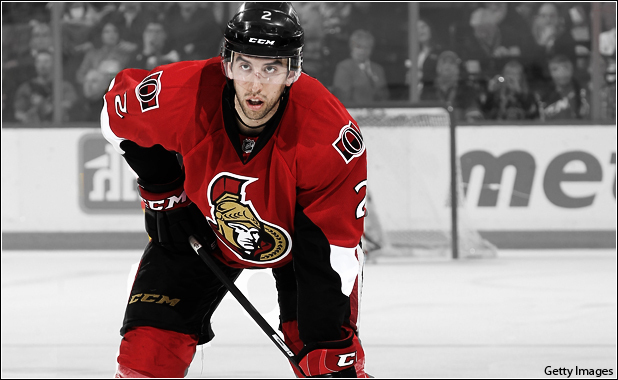 The potential is still there, but time is running out for Jared Cowen. Fast. A good veteran presence, the skilled winger was a key piece in the trade that sent Dany Heatley to San Jose in 2009. Injuries have taken their toll, he’s currently out with a broken finger, and his prime is well in the past, but Michalek is without a doubt a decent top-nine forward option on most teams. He’s struggled with Ottawa this season, recording 10 points in 32 games, but when the inevitable roster shuffle continues and pieces like Shawn Matthias, P-A Parenteau, Michael Grabner and Co. get moved, I expect Michalek to pick up a lot of the slack. He’s signed through the next season at a $4 million cap hit, a lot for a player at this stage of his career, but Toronto has the cap space and could use a veteran presence on the ice next year with an expected influx of young players coming up to the bigs. 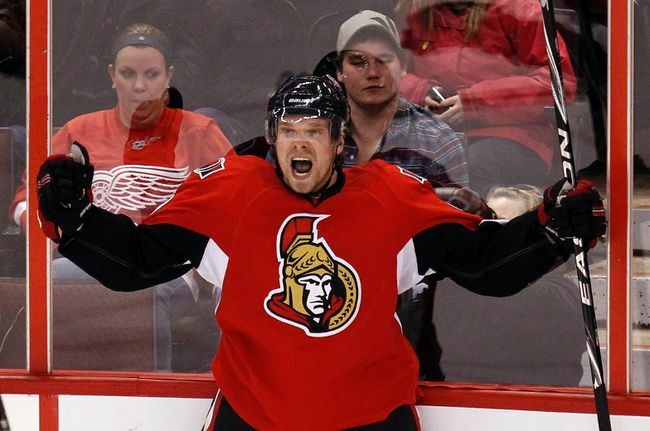 Barring injury, Michalek could be a very serviceable short-term option for the Leafs. The 29 year old winger had fallen out of the Ottawa roster over the past two seasons and has spent virtually all of this season in the AHL, recording underwhelming numbers of 13 points in 41 games, to go along with 52 PIMs. He’s on a $2.625 million per year contract that expires after next season, which is millions of dollars to much for a player of his age and caliber, hence why he was buried in the minors, but can conceivably take a fourth line role on the Leafs once the roster shuffle continues. He’s a stopgap option at best and I don’t see him being in the NHL much longer, if at all. Looking back in a few years, Lindberg could end up being the best player in this trade. 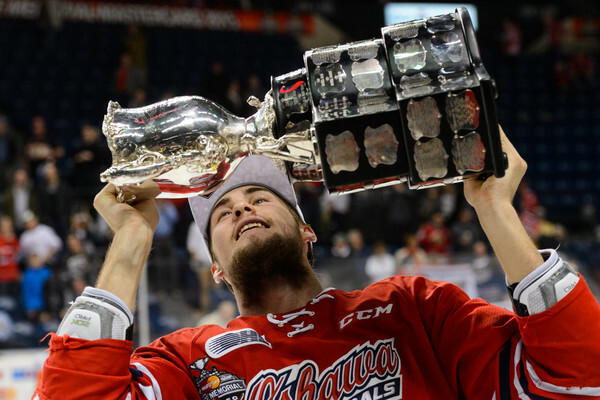 The 20 year old winger was a 4th round pick by Ottawa in 2013 out of the famed Djurgardens program in Sweden and spent last season recording 97 points (including playoffs) as a star import on the Memorial Cup champ Oshawa Generals. The coach on that team? None other than new assistant Leafs coach DJ Smith. Lindberg has represented Sweden internationally a number of times, despite not ever playing in the World Juniors, and had 22 points in 34 games this season for the Binghamton Senators. He’s going to be joining the Marlies for what is expected to be an extended playoff run, slotting behind A-list prospects like William Nylander and Kasperi Kapanen. As it currently stands, Lindberg is a high-end middle level prospect with size and scoring ability that could potentially see some time in the big leagues this year and has the potential to eventually make an impact at the NHL level. 2nd round pick in 2017 – The stats say that a 2nd round pick turns into an NHL player 1/3 of the time, and could potentially end up being a mid to high 30’s draft pick. If the Leafs draft properly, this could (obviously) turn into a huge asset. For example, some 2nd round picks in 2011 include Boone Jenner, John Gibson, Brandon Saad and Nikita Kucherov. There’s a lot of pieces in this trade. 10 piece trades rarely happen in today’s NHL and at first glance, this looks massive. But once contracts and potential get thrown into the equation, this trade ends up essentially being Dion Phaneuf for Tobias Lindberg and a 2nd round pick. From an Ottawa standpoint, they dump an underachieving ex-top tier prospect in Jared Cowen, a buried minor league contract in Colin Greening and an aging, expensive, injury prone Milan Michalek. They lose a good draft choice and a very solid prospect in Tobias Lindberg. They gain a veteran minor league presence with significant NHL experience and an expiring contract in Matt Frattin, minor league filler with Casey Bailey and Ryan Rupert, a potential dark horse in Cody Donaghey, that at worst case scenario will be a minor league mainstay, and a seemingly rejuvenated Dion Phaneuf. Phaneuf is expected to be a good locker room guy that can help groom young guys like Cody Ceci, Mark Stone and Curtis Lazar while still logging significant minutes on the blueline and powerplay. Will he be a superstar? No. Is he worth $7 million a year for the next five seasons? No. But not many players are, and fans need to separate Phaneuf from his contract while analyzing his play. I am concerned about potential age-related regression from Phaneuf, and this contract could end up hurting Ottawa in the long run as he ages. But as of right now, he is a serviceable defenceman and leader that will help the current team. From the Toronto point of view, this is a long-term move that is keeping in check with the current rebuilding mindset. They clear out some minor league filler in exchange for a couple of bad contracts that can be used as placeholders on the current rebuilding squad and lose the potential dark horse that is Cody Donaghey, but gain significant value in return. I don’t expect it to happen, but Jared Cowen could conceivably re-spark his development under the Babcock regime and if he does improve he could be someone that sticks around long term. The potential that had him drafted 9th overall is still there, but he has to prove he belongs immediately. Tobias Lindberg is a very good prospect that likely has a future with the Leafs and having another 2nd round pick is obviously always a good thing. However, the main key here is moving the $7 million cap hit of Phaneuf and freeing up the captaincy. You thought the Steven Stamkos to Toronto rumours were overwhelming before? That just increased tenfold. Overall, this was a solid trade for both teams, with Ottawa moving out some expensive and middling bodies in exchange for an expensive 2nd pairing defenceman with leadership qualities and a couple of mediocre to middle prospects, while losing a couple of decent assets in the process. Although the haul for Ottawa was decent, I see Toronto being the winner here, if only for the freed up long term cap space and now vacant captaincy. Getting a good prospect and a 2nd rounder is bonus in my eyes and taking on a couple of bad contracts is a small price to pay. I’ll leave you all with this. Seen Stamkos?